Have you seen Weight Watchers latest marketing gimmick in the news? If not, let me update you- weight watchers recently announced that they will offer free membership to teens over the summer. I know on the surface this may appear to be a kind and generous thing that they’re doing to help teens, but please don’t be fooled. This isn’t about helping teens, it’s about increasing their bottom line and creating repeat customers for life. The average weight watchers member has signed up four times. 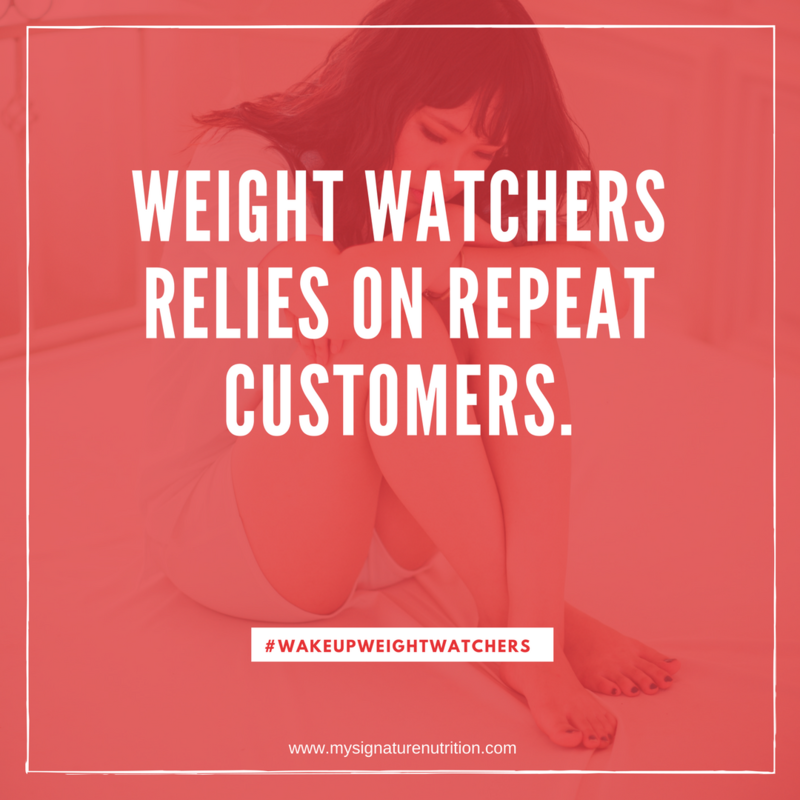 The weight watchers model relies on repeat customers and even boasts that they are aware of this pattern of repeat enrollment. Offering “free” services to teens isn’t out of generosity, care, or concern of teens health or wellness. It’s about creating a repeat customer for life. Not the kind of repeat customer that goes back because they feel good, satisfied and love the product. The kind of customer that goes back because they feel ashamed, like a failure and don’t know what to do. -95-98% of all diets fail. -dieting predicts weight gain in adolescents. -dieting is correlated with increased guilt, shame, anxiety, depression, low self esteem and eating disorders. All of which are correlated with worse health outcomes. 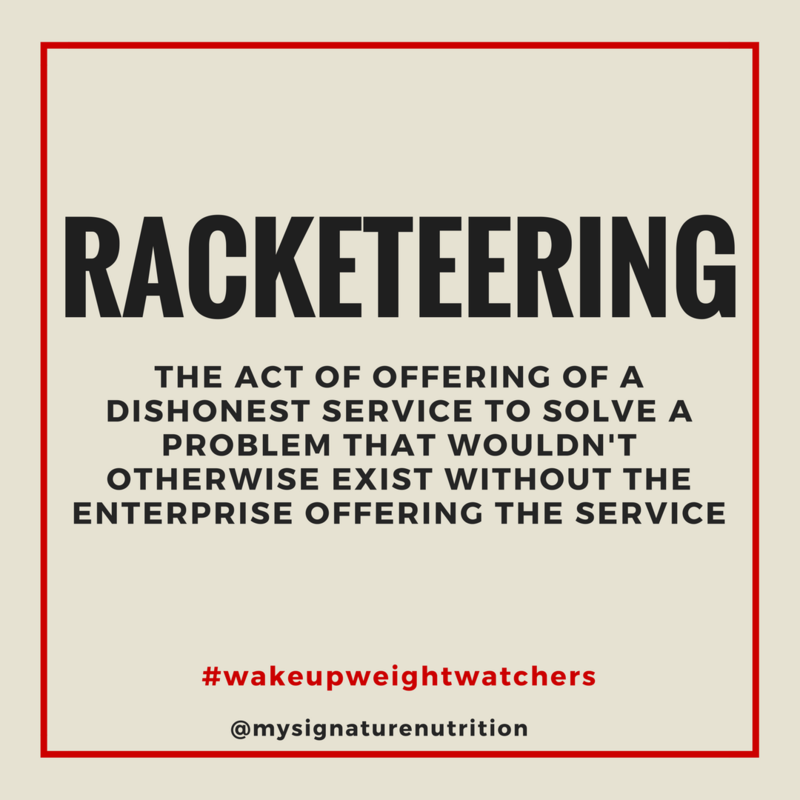 Quite frankly, I don’t know how what weight watchers is doing isn’t considered racketeering. They are fully aware of the literature and health implications or dieting, yet they peddle it to teens. They seek repeat customers by creating a problem that keeps innocent people stuck for life. They know that dieting is correlated with weight gain, guilt, shame, anxiety, depression, low self esteem, eating disorders, increased inflammation, reduced impulse control, bingeing, decreased exercise, GI dysfunction, weight stigma and accelerated aging. Dieting keeps you stuck. Dieting decreases health and well-being. 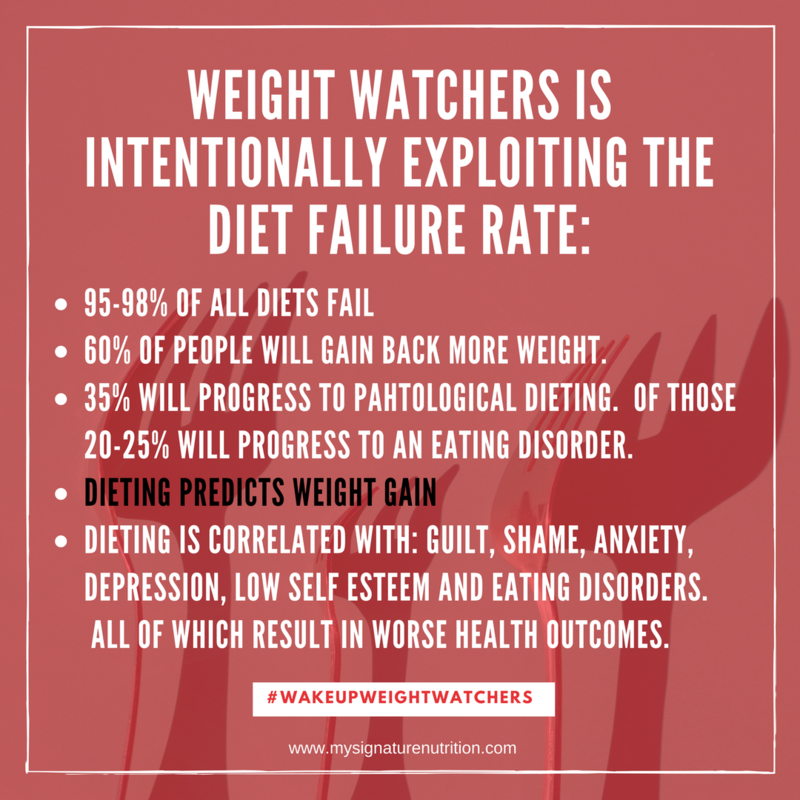 It’s not any different than what weight watchers is doing at this point (in my opinion). 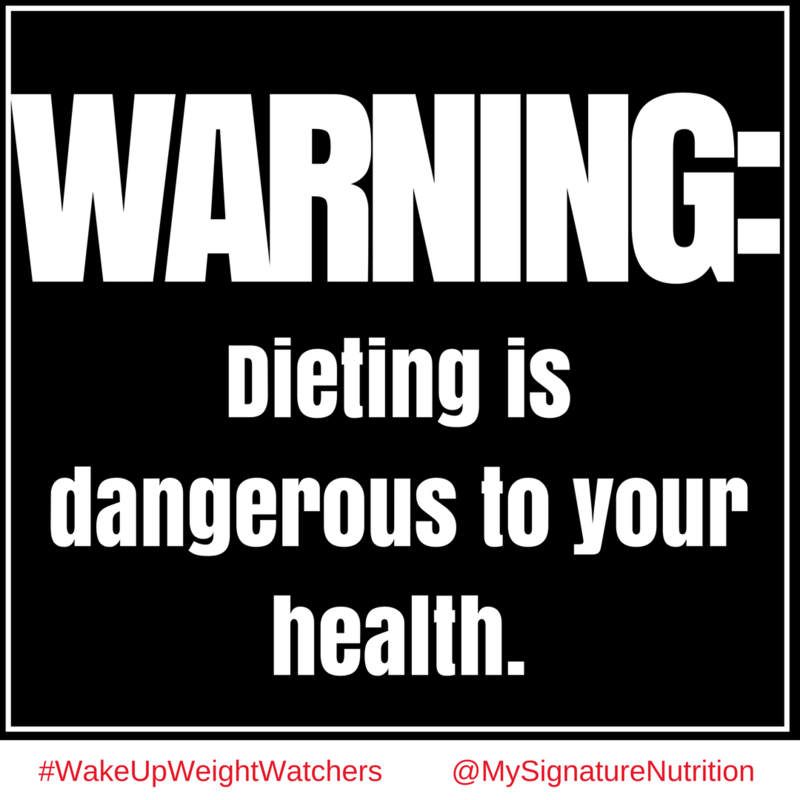 They are intentionally deceiving the Public about the hazards of dieting. It’s all about increasing their bottom line by preying on innocent youth and manipulating them to believe that health, happiness and self worth come from changing your body at all costs. This is Diet Culture. I’d expect this from Weight Watchers. But it’s so disheartening to see it from Oprah and DJ Khaled. If you wouldn’t promote cigarettes, alcohol, and bullying to teens then don’t promote this either because long term the psychological and physiological health outcomes are the same. 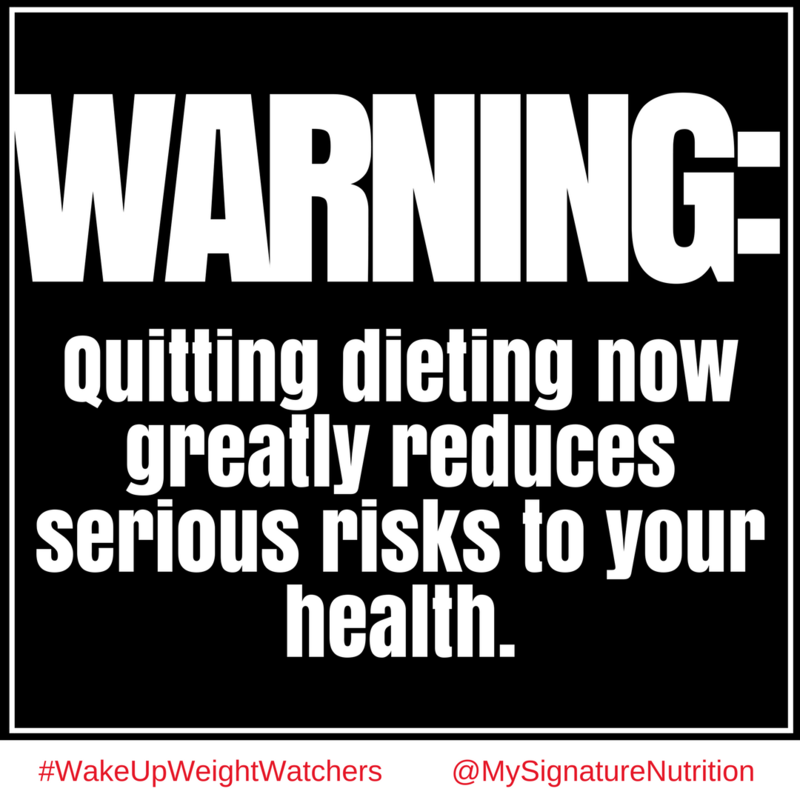 In truth, I dream of the day when diets come with a warning label. I dream of a day when diet culture has to follow the same laws that cigarette companies do for advertising: NO doctors, celebrities, cartoons, commercials, billboards, and no advertising and marketing practices that target individuals under 18. If Weight Watchers really cared about health and well-being they would follow the same advertising practices as cigarette companies. But they don’t. They care about money in their pocket, and they’re laughing all the way to the bank knowing that they’re entrapping people in diet culture. That’s it. So until racketeering charges come to the diet industry, here we stand with harmful marketing to the most vulnerable. This isn’t health. This is harm. Want to stop dieting? Want out of diet culture? Get my free guide + 5 day mini course on rejecting diet culture!